Our coloured packing tape range in strong bright vinyl offers you a highly affordable choice of 7 attractive colours to enhance your packaging or use as colour-coding identifying adhesive tape. In addition to ever-popular red tape, we have blue, black, white, yellow, green and orange, all in a semi-gloss finish that you can write on with a permanent marker pen. This coloured packing tape sticks extremely well to cardboard and paper and is highly durable, resisting water, sun, oils, chemicals and mould. 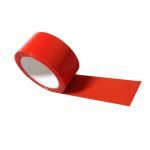 Supplied on a generous 66m roll, these sticky tapes are 50mm wide and available in packs of 6. Vinyl coloured packing tape is a superb packaging solution as it combines a great appearance with toughness and excellent adhesion. 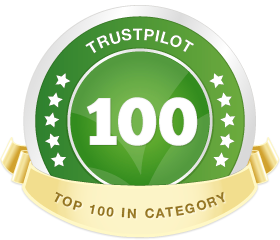 Use it to make your packages stand out – you can add a chic or fun touch to your parcels and cartons, match your company colour scheme – or simply stick it on boxes to colour-code and identify them, for example when moving house, storing goods or displaying items in a retail environment. 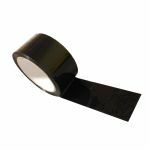 Resistance to fungus, damp, chemicals, oil and sunshine makes this type of adhesive tape the perfect option when sealing goods for storage. An added bonus is that you can write on the semi-gloss tape surface with a permanent marker pen. 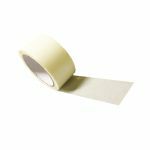 As they will stick instantly to clean dry surfaces, including tissue and board, these sticky tapes in 7 vibrant colours are ideal for arts and crafts projects too, or workplace noticeboards: black tape, blue tape, green tape, orange tape, red tape, white tape and yellow tape. They are 50mm wide and made from a durable premium quality material. The 66m rolls are supplied in packs of 6 and will fit tape dispensers. 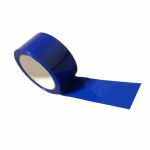 Whether you require a decorative, marking or parcel tape, you are bound to find a host of uses for the products in our versatile and reliable coloured packing tape selection.